One-story versus two-story home: Which is better? When house hunting, this question is worth considering—and the answer isn’t as simple as you might think. The number of floors in a home affects not just the way it looks, but also how easy it is to navigate and maintain, how much you’ll pay for heating and cooling, and much more. 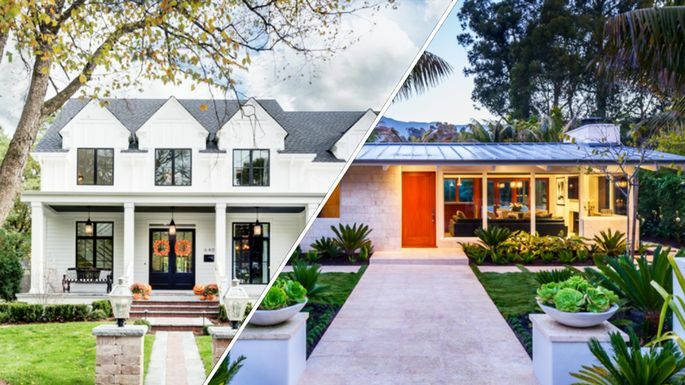 Just so you know what you’re in for based on the number of stories you buy (or build), consider this list of the pros and cons of one-story versus two-story homes. Maintenance is a piece of (one-layer) cake. One-story homes are easier to maintain because everythings on the same level, points out Nathan Garrett, owner of Garretts Realty in Louisville, KY. On a daily basis, that means no schlepping a vacuum cleaner or loads of laundry up two flights of stairs. From an exterior point of view, everything from power-washing to window washing to painting stays easy and on the groundno scaffolding necessary. Single-story homes are simpler to design. Thinking about building your dream house? One-story homes are simplest to design and thus less expensive to design, explains Rachel Preston Prinz, founding director of Archinia and Architecture for EveryBody in Santa Fe, NM. Theyre also easier than two-story houses to structurally engineer and can be built with prefab components, if that’s your jam. They’re safer to navigate. Have toddlers or an elderly parent living with you who might not be able to safely handle stairs? A one-story home means fewer risks of falls and accidents. It also means that once you get old, you can safely age in place. They’re easier to evacuate. In case of a fire, you’ll be able to open any ground-floor window and crawl out to safety. (Just don’t plant rose bushes directly under your planned escape routes.) Live in an earthquake zone? One-story (wood-framed) houses are the safest structures to be in during a quake. Building and adding on can be costly. If you’re building a home from the ground up, a larger footprint requires more land, says Prinz. A one-story house also requires more materials such as for the foundation, roofing, and windows. And since plumbing and HVAC runs will need to be longer, thus requiring more power, you’ll need bigger, pricier systems. There’s less privacy. Not everybody likes the letter carrier passing right by their bedroom window to drop off packages. While it’s true that not every single-story house means you’re all that exposed, second stories tend to be more secluded. Whether you fancy a Cape Cod, saltbox, or romantic Victorian, there’s a sense of elegance that’s inherent in multistory houses. Can you imagine the White House as one story? Certainly not Buckingham Palace. Aesthetics aside, here are the other perks you get with a two-level house. Extra privacy: A second floor makes for an easier separation of public and private spaces, points out Prinz. If youve ever had guests over and sent your kids upstairs to watch a movieor your in-laws are crashing in the guest room downstairs and you need to get away in your master suitewell, you know what we mean. Lower risk of burglary: You have a significantly lower risk of a break-in if you accidentally leave a window open on the second floor [rather than one on the first], says Shayan Jalali, a sales associate for Keller Williams in Boston. A thief is unlikely to shimmy up your drain pipe just to check out your goods, and far less likely to shimmy down it with your flat-screen TV. More design options: In two-story homes, its fun to play with the massing and scale of spaces, says Prinz, much more so than with just one level. Potential views: If you live in a picturesque area, this advantage speaks for itself. Who doesn’t love a good balcony or second-floor porch? That said, two-story homes aren’t perfect. Here are the downsides. Greater risk of accidents: Lets talk about those stairs for a moment. They present a potential danger for young children and can be cumbersome for anyone with mobility issues, says Jalali. Youll need to deploy baby-proof gates or figure out a way to make your staircase accessible to any loved ones whose movement is limited. That isnt cheap. Most stairs are difficult to adapt for disabilities, says Prinz. Making a second floor accessible can cost upward of $20,000 for a lift. Costlier heating and cooling: Heat rises; cold air drops. As a result, your upstairs will run hot, your downstairs cold, and you’ll have to adjust your heating and AC accordingly. In fact, some experts say that a two-story home may have double the heating and cooling costs of a single-story home of the same square footage. Potential for higher noise level: If not designed well, a multilevel home can have you covering your ears. If your bedroom opens directly onto a great room balcony or the floor isnt properly designed for acoustics, youll hear people walking and talking above you, cautions Prinz.